As the earth magnetic field arcs out from the north and south magnetic poles, it traps atomic particles, protons and electrons that are emitted by the sun in the solar wind. As the particles decend, they interact with molecules in the rarefied upper part of the Earth’s atmosphere and produce a glowing radiation of light called Aurora. 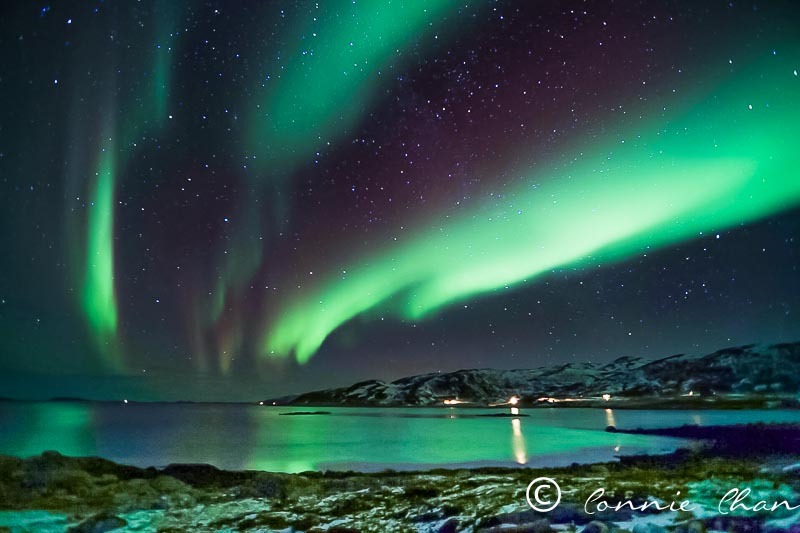 Connie, one of our photography workshop participants, braved the cold subzero temperature and the rough condition recently in February to witness the spectacular event and recorded the aurora with her D-SLR. Here are her images taken on tripod at speed of about 20-30 seconds. The images have been edited in Adobe Lightroom to bring out the aurora and the existing night sky and the surrounding ambient light and foreground. Connie has been using film for many years. She switched to digital just last year. 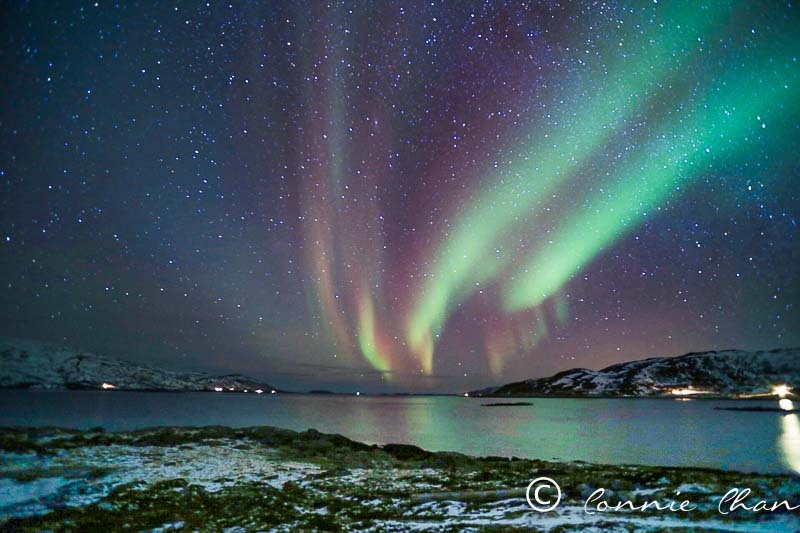 I want to thank her for sharing her images to other keen photographers on her photography journey of northern light . Tags: Aurora photography journey. Bookmark the permalink. Previous post ← Why are you here for the 2 day photography workshop in Singapore?